You know my love of all things kitsch; well I just couldn’t quite hide my excitement over finding a beloved Care Bear. My Mr displayed quite an alarming distaste to such a friendly creature. Though I must admit my love of cuddly toys has gotten a little out of hand lately, therefore I quite understand the depths of despair. I have always been loyal to my soft friends, and don’t see this love ever dying off to be quite honest. I could quite happily share my life with a whole host of make belief characters. Only now I realise how much of a child I can be at times. But at 99p I just couldn’t find it in my heart to leave him behind. I was just sorting out some eBay bits and found a box with a few toy figures (including a Care Bear!) that I'd brought because I'd had them when I was younger... I contemplated putting them on eBay but couldn't bare to part with them! I love care bears, always have done and always will! Although I don't own any (well not any more I did have one once)Care Bears will always make me smile & remind me of being young & utterly carefree. Aw, now you have a reminder in your house. Yes I've got two more... but shhh! Love this - he's so cute! Oh carebears! I have a collection of nine bears that I just love to pieces. Sure I might be too old for stuffed animals but then again no I'm not. oooh it reminds me of my childhood! 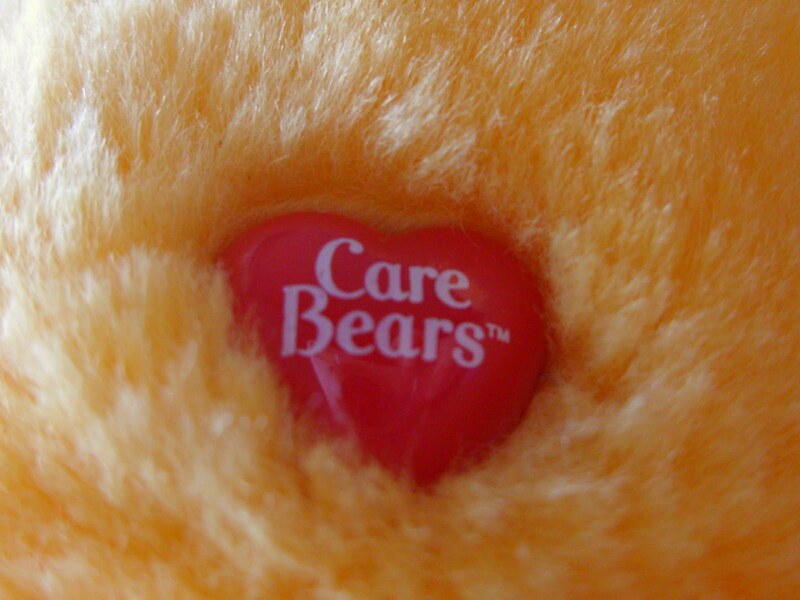 always love care bears! they're so adorable! and for 99p, i dont think i have a heart to leave him too! he's just a sweetheart! 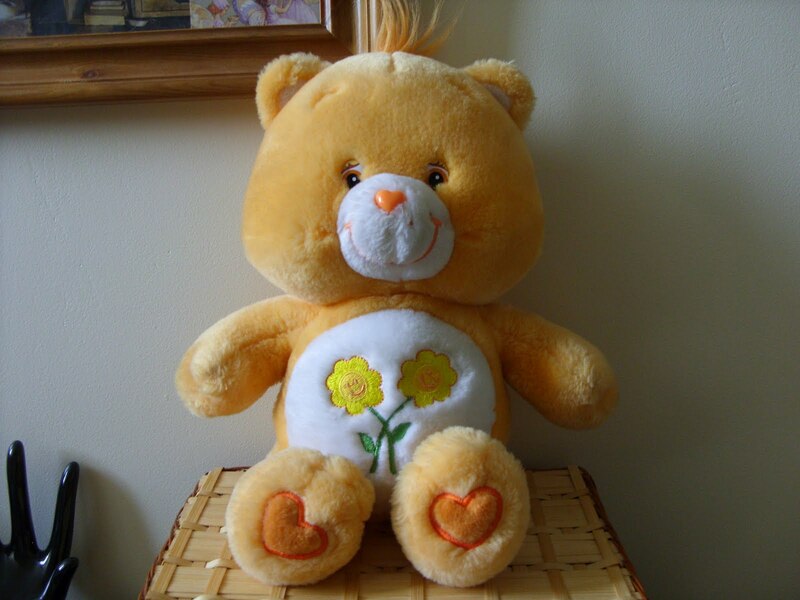 You'll be unsurprised to learn that I was the snarky older sister who did NOT have care bears. However I remember them well. Bet you had glo-bug and glo-worm too! I loved Care Bears too (and even used to read Care Bears magazine he hee! ).